College For Every Student shares best practices for raising college and career aspirations and increasing educational opportunities for underserved and diverse students in rural and urban districts. Providing guidance for educating your students and organizing communities for expanding educational opportunities, this is a must-read for every school leader and counselor interested in promoting educational uplift. 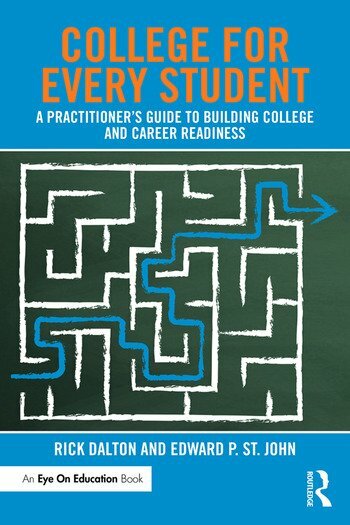 This comprehensive guidebook offers a wealth of resources and tools for educators and professionals to help students build essential college and career readiness skills. College For Every Student gives you the research-based, proven strategies needed for promoting the core student skills essential for college and career readiness: aspiration, grit, perseverance, adaptability, leadership, and teamwork. Rick Dalton is the Founder, and President and CEO of College For Every Student (CFES). Since 1991 CFES has helped more than 75,000 students in 40 states to graduate from high school and attend college. Dalton has written more than 130 articles and op-eds on educational issues. Edward P. St. John is the Algo D. Henderson Professor of Higher Education at the University of Michigan, and serves as series co-editor for Readings on Equal Education, Core Issues in Higher Education, and Engaged Research and Practice for Social Justice in Education.